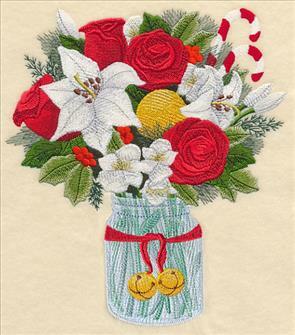 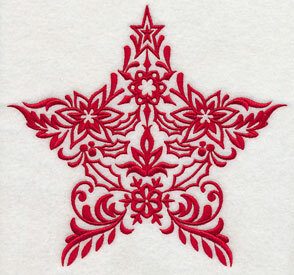 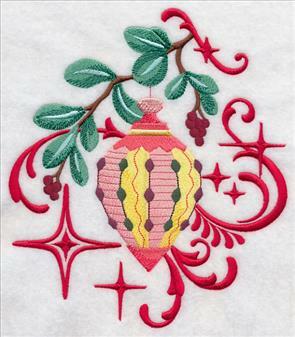 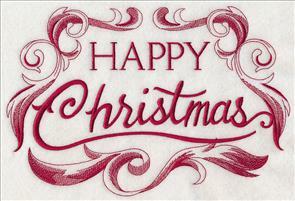 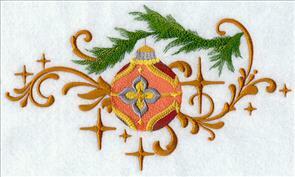 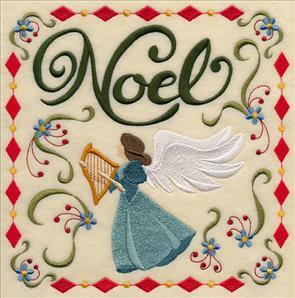 Christmas is almost here, and these elegant Christmas designs are the perfect way to stitch for the season. 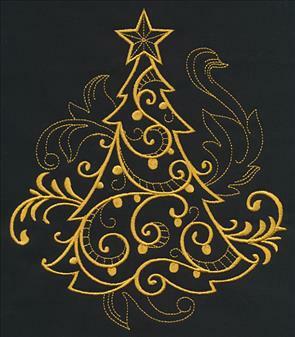 Filigree detailing gives classic holiday motifs a new, sophisticated update, while stitching all in gold makes these designs even more chic. 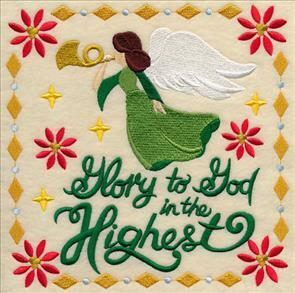 6.72" x 7.81" and 6.32" x 7.34"
5.87" x 6.82" and 4.85" x 5.64"
6.90" x 7.95" and 6.12" x 7.06"
5.57" x 6.42" and 4.84" x 5.58"
Each of the holiday goldwork designs features a variety of lighter and heavier stitches, adding wonderful depth and texture to the embroidery. 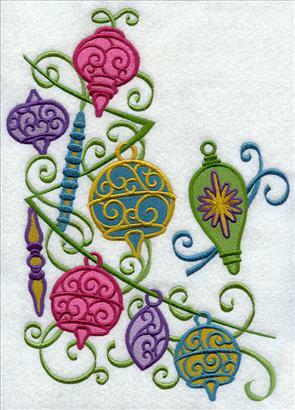 Light and airy baroque-inspired flourishes in the background provide a stunning stage for each of the holiday motifs to shine. 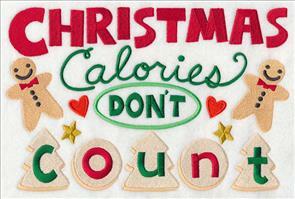 7.81" x 7.54" and 7.09" x 6.85"
6.07" x 5.86" and 5.02" x 4.85"
7.39" x 7.82" and 6.90" x 7.30"
5.85" x 6.20" and 4.85" x 5.14"
Stitch all of the goldwork designs on a quilt, series of wall hangings, or tree skirt. 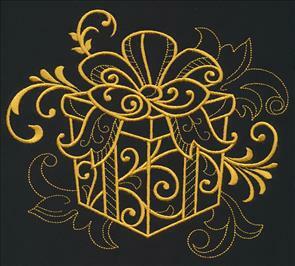 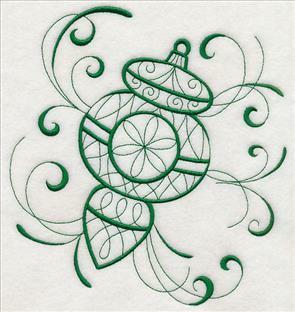 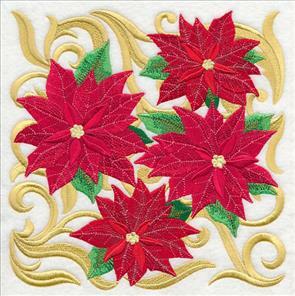 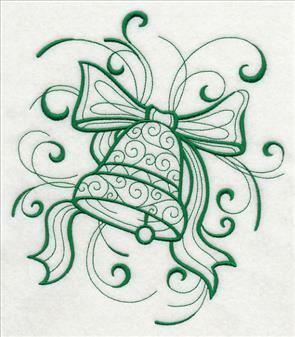 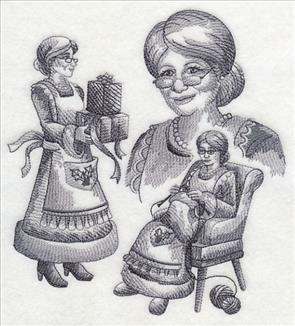 Or, stitch in conjunction with the Christmas Filigree (Goldwork) Design Pack for a shimmering collection of holiday designs. 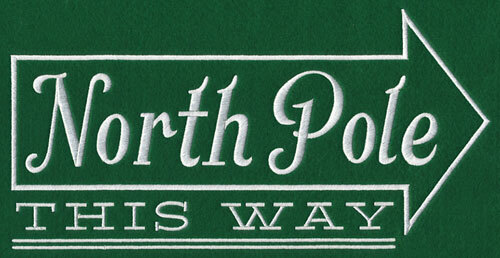 7.40" x 7.80" and 6.85" x 7.22"
5.85" x 6.17" and 4.85" x 5.11"
7.50" x 7.81" and 6.85" x 7.13"
5.87" x 6.11" and 4.87" x 5.07"
These striking one-color Christmas designs add an exquisite look to any holiday project -- bring even more sparkle and shine by stitching in metallic thread! 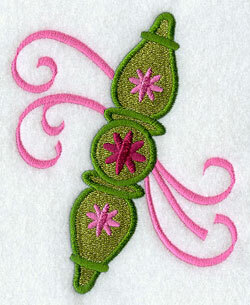 For tips and tricks on metallic thread, click here for step-by-step instructions or here to watch our video on stitching with metallic thread. 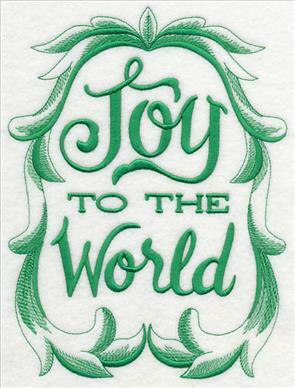 8.06" x 6.90" and 7.37" x 6.31"
6.83" x 5.85" and 5.66" x 4.85"
7.51" x 7.81" and 6.85" x 7.12"
5.86" x 6.09" and 4.86" x 5.05"
Stitch these goldwork designs on stockings, tote bags, pillows, and more. 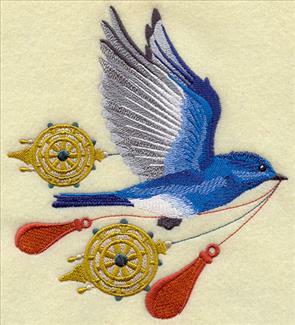 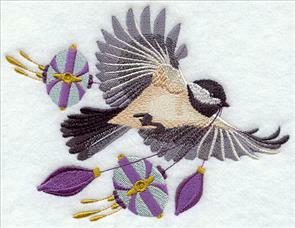 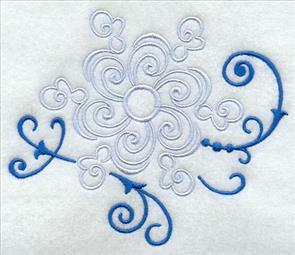 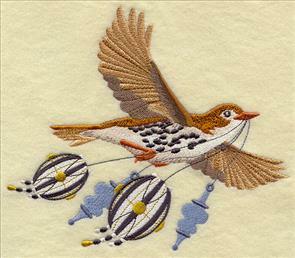 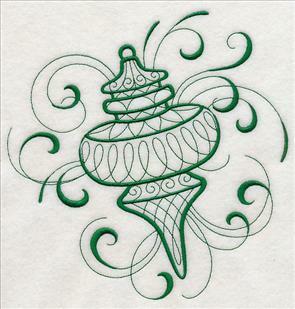 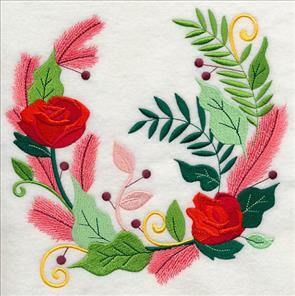 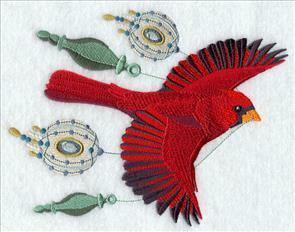 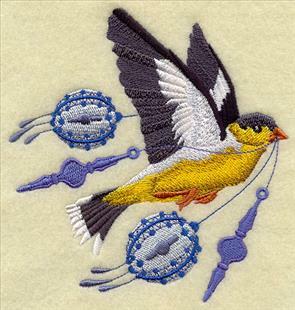 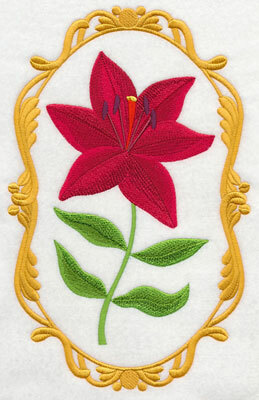 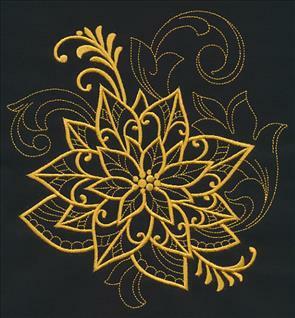 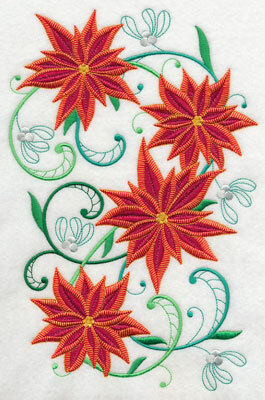 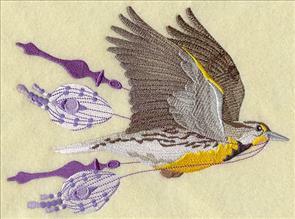 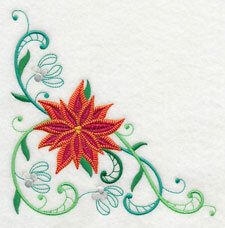 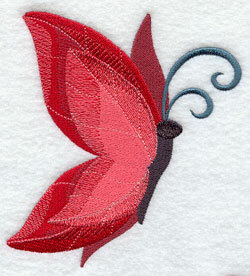 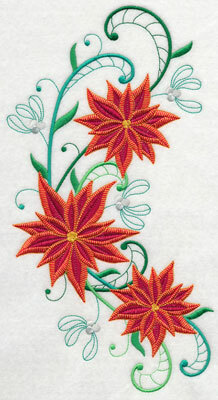 They're a beautiful way to bring a majestic look to your embroidery. 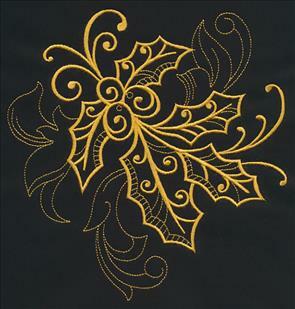 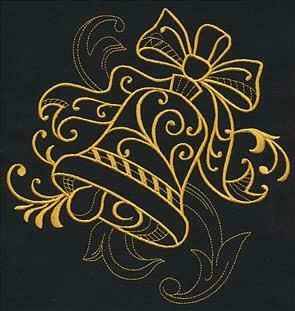 7.37" x 7.80" and 6.85" x 7.25" and 5.85" x 6.19" and 4.84" x 5.12" and 3.63" x 3.85"
Pick your favorite Christmas filigree goldwork design, or buy them all in a design pack for an even larger discount. 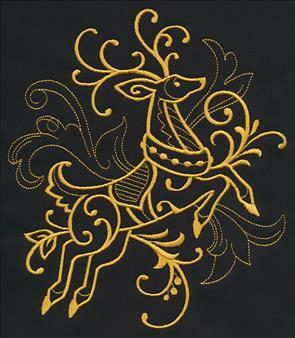 Stitch the beauty of Scandinavian artwork on gift bags, stockings and more with these gorgeous Nordic designs. 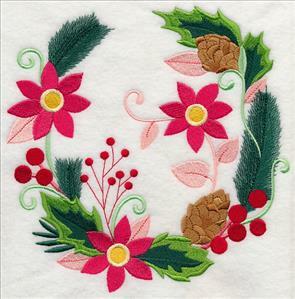 Look for gorgeous natural details in the designs below, such as poinsettias, snowflakes, and holly and berries. 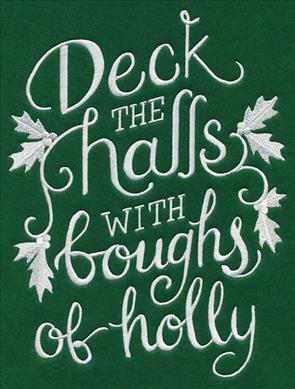 6.90" x 8.90" and 6.07" x 7.82"
5.50" x 7.10" and 4.82" x 6.22"
7.32" x 7.81" and 6.71" x 7.16"
5.86" x 6.25" and 4.84" x 5.16"
The use of the color red, intricate detailing, and stunning symmetry are well known aspects of Scandinavian artwork. 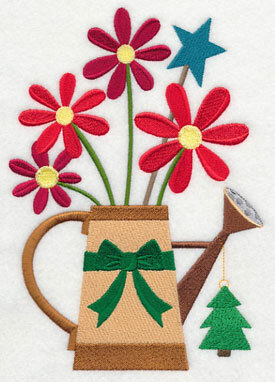 Stitch the holiday motifs on pillows, towels, aprons, and more! 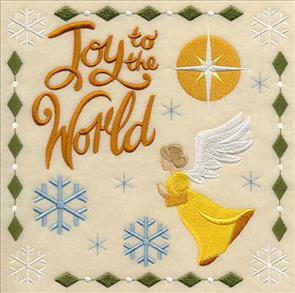 7.81" x 7.26" and 7.11" x 6.61"
6.30" x 5.86" and 5.22" x 4.86"
7.81" x 7.48" and 7.21" x 6.90"
6.13" x 5.87" and 5.05" x 4.84"
Add a splash of holiday spirit to your home decor with these Christmas phrases and sayings. 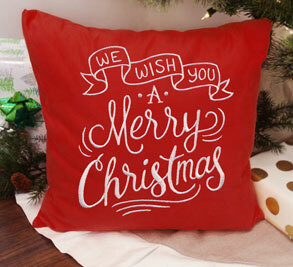 The one-color quotes are a fabulous way to update pillows, tote bags, and other projects for the season in a flash. 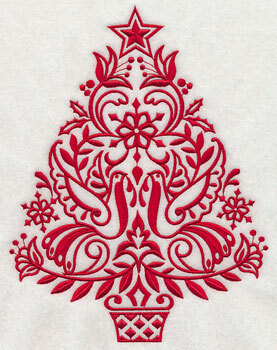 6.90" x 9.92" and 5.85" x 8.42"
5.43" x 7.80" and 4.78" x 6.87"
6.89" x 9.54" and 5.87" x 8.13"
5.34" x 7.39" and 4.85" x 6.72"
Wish warm Christmas greetings to loved ones with these "Merry" and "Happy" Christmas designs. 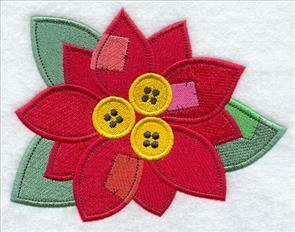 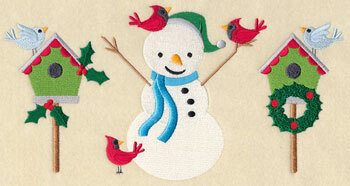 They're a cheery way to spread the spirit of the season -- stitch on quilts, blankets, and more. 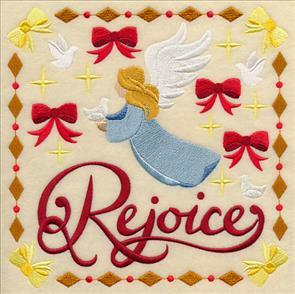 7.10" x 7.81" and 6.46" x 7.11"
5.86" x 6.45" and 4.86" x 5.35"
7.15" x 7.82" and 6.50" x 7.11"
5.86" x 6.42" and 4.89" x 5.35"
Each of these one-color phrases has been stitched in white to pop against the classic red and green colors of Christmas. 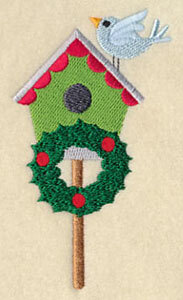 Stitch in your favorite color to match your holiday decorating scheme. 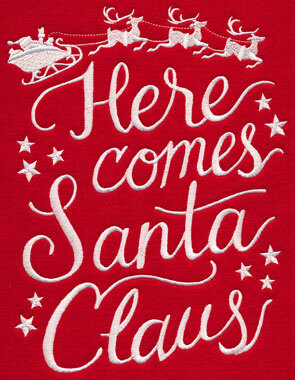 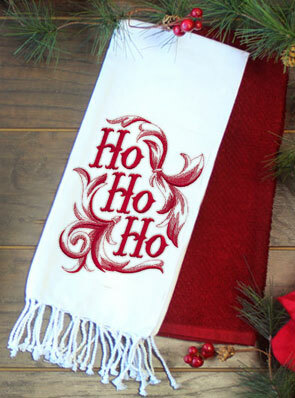 Deck the halls for Santa's arrival with these fabulous Christmas designs. 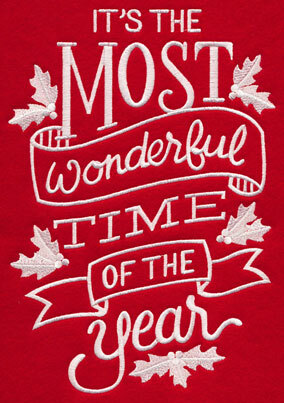 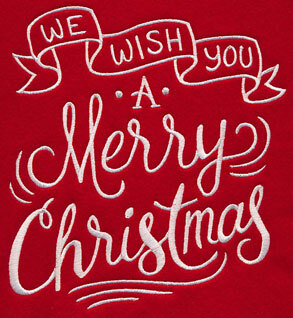 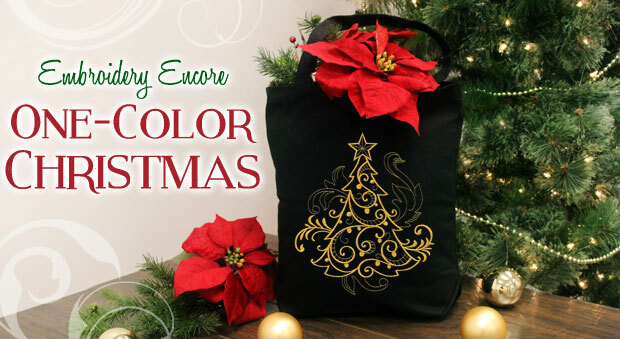 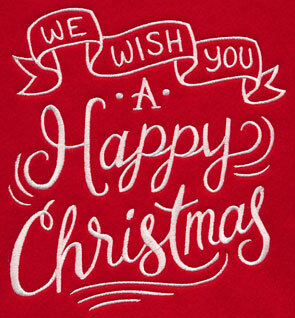 The fun typography and holiday accents have been modeled after chalkboard art, and are gorgeous for adorning a wide variety of embroidery projects. 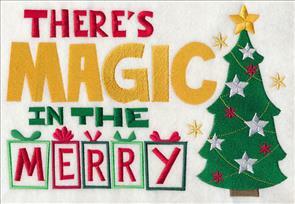 6.88" x 9.01" and 5.96" x 7.80"
5.34" x 6.99" and 4.81" x 6.29"
6.85" x 8.94" and 5.98" x 7.81"
5.56" x 7.26" and 4.83" x 6.31"
"North Pole This Way!" 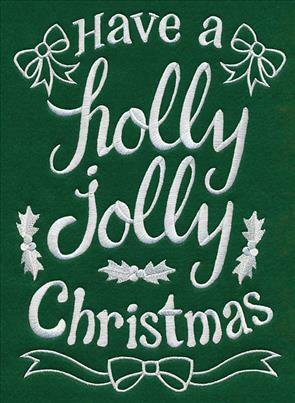 Create a too-cute addition to your holiday decor with this fa la la festive Christmas sign. 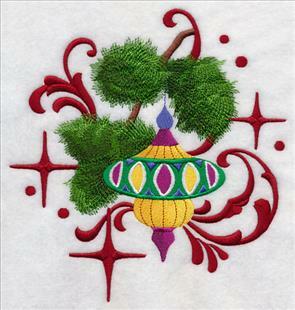 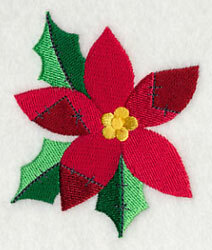 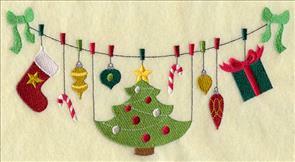 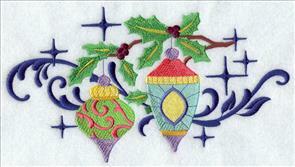 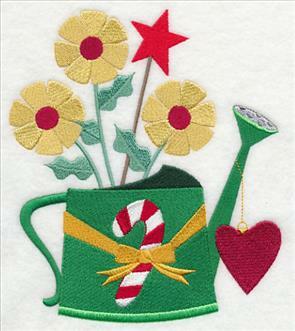 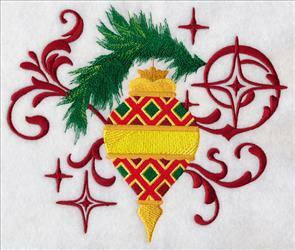 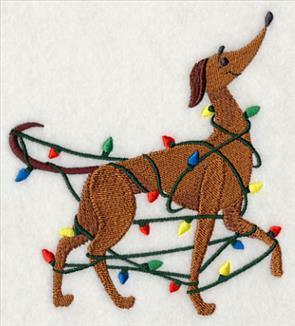 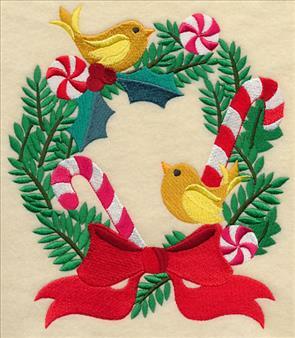 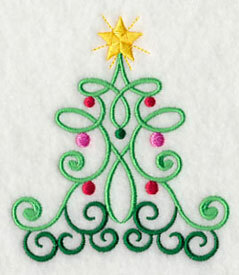 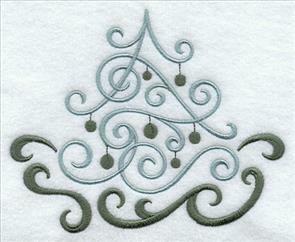 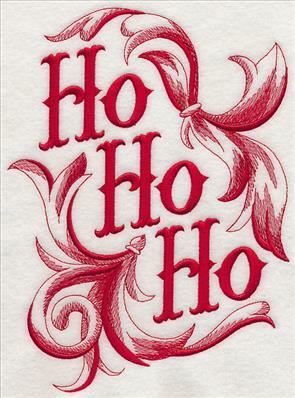 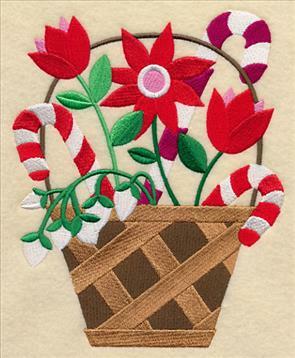 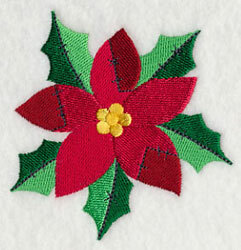 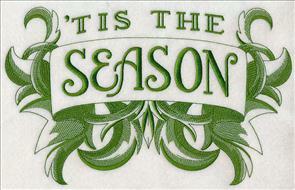 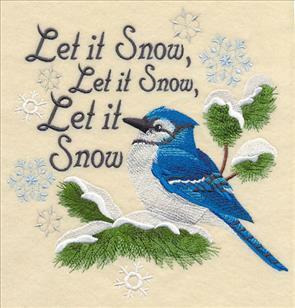 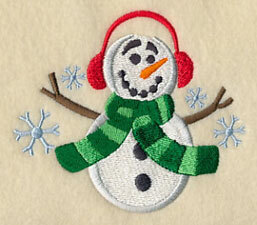 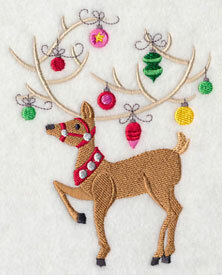 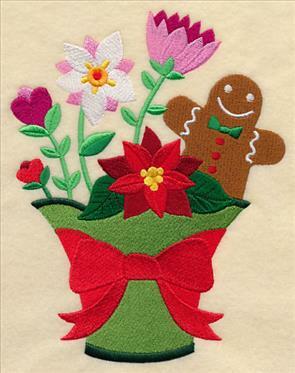 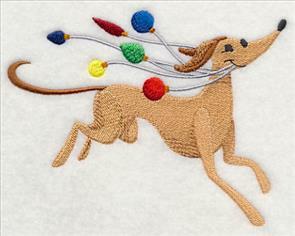 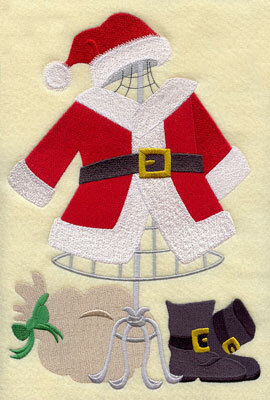 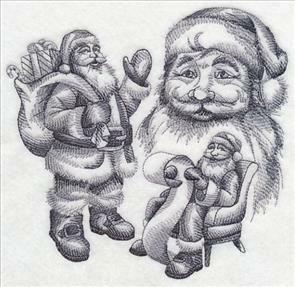 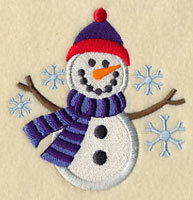 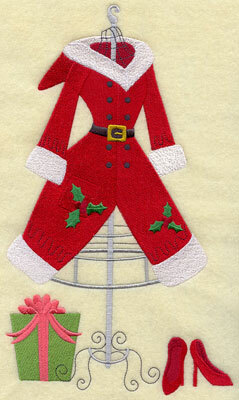 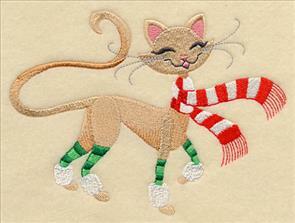 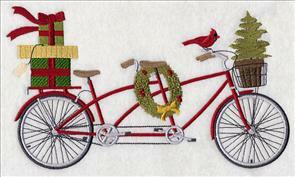 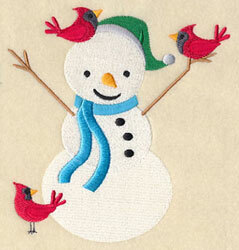 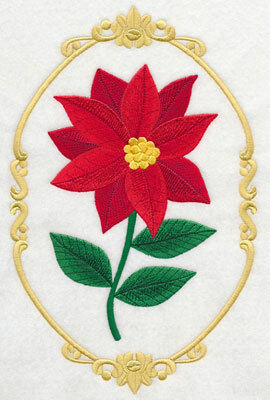 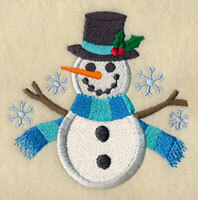 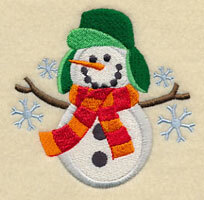 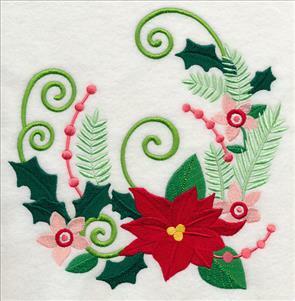 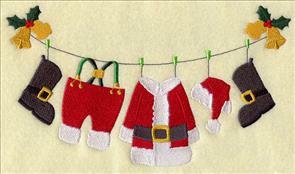 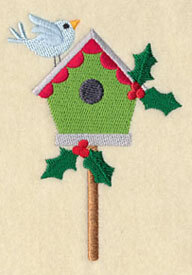 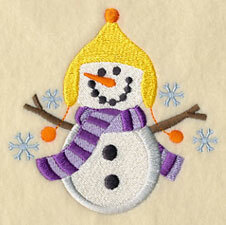 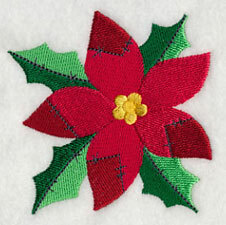 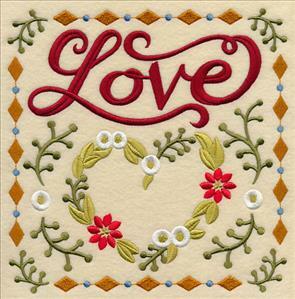 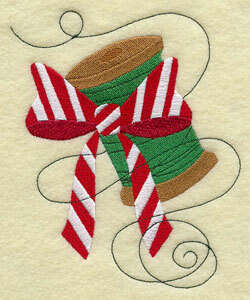 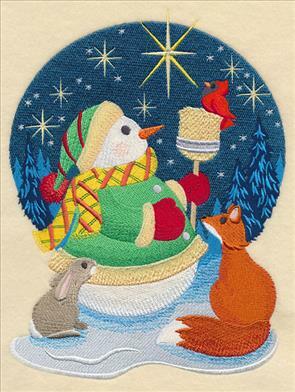 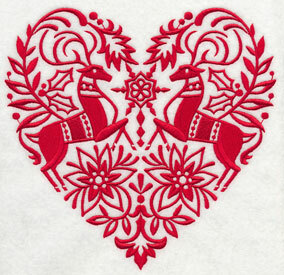 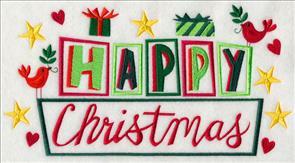 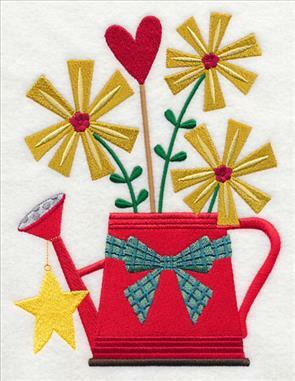 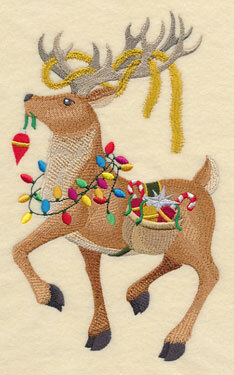 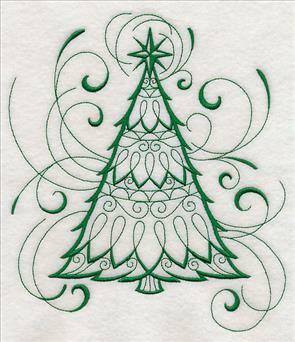 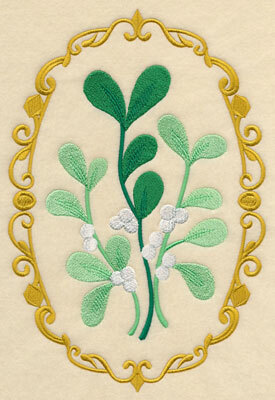 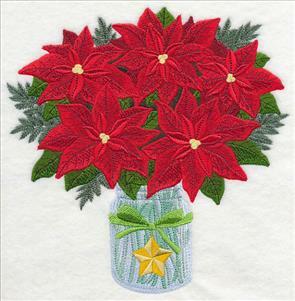 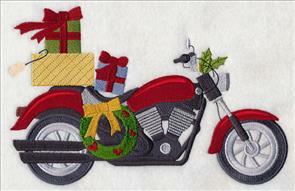 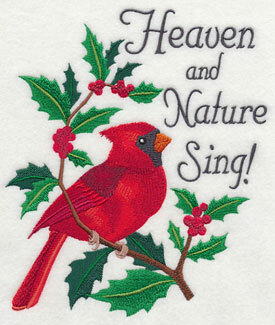 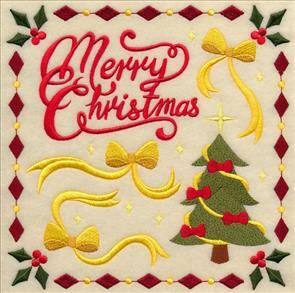 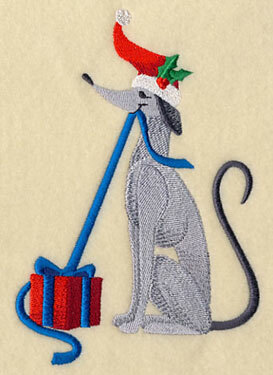 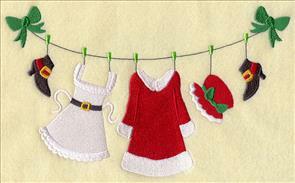 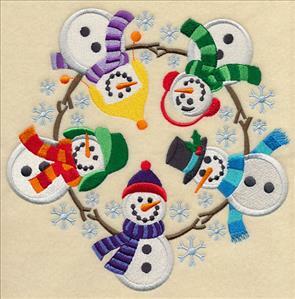 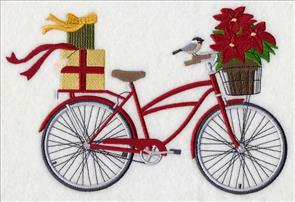 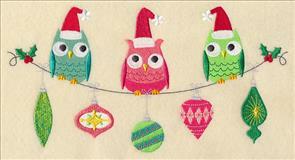 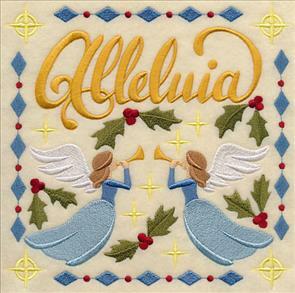 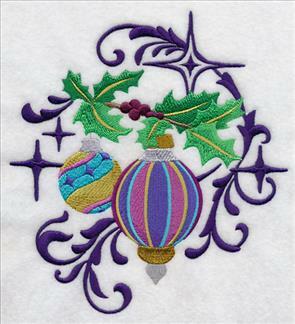 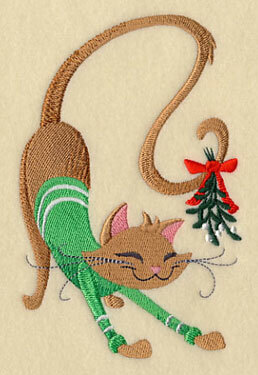 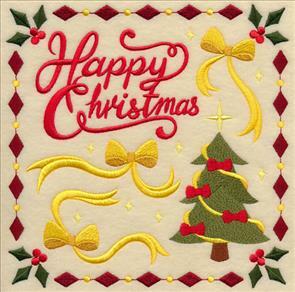 Framed pieces, wall hangings, pillows, and more will get a festive update with this embroidery. 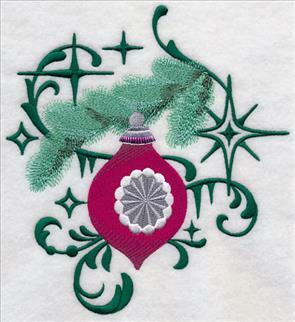 11.77" x 5.90" and 9.42" x 4.72" and 7.79" x 3.90" and 6.87" x 3.44" and 3.88" x 1.97"
Add a contemporary look to your holiday stitching with new Intricate Ink Christmas designs! 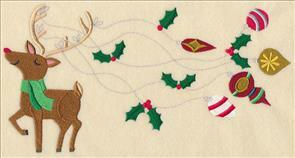 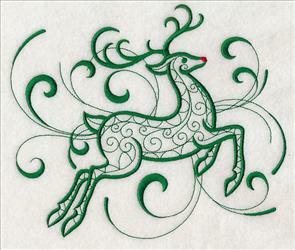 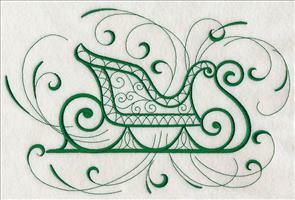 Graceful, arcing lines and long elegant strokes give this inky reindeer and sleigh a whimsical appeal. 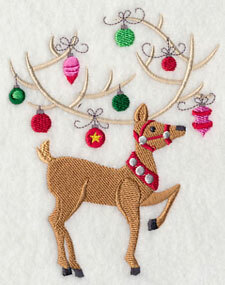 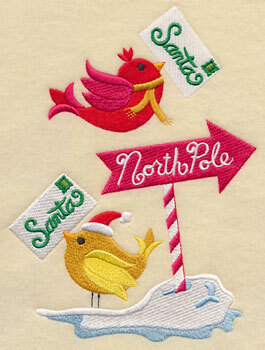 Plus, the bright red nose on the Rudolph design is on a separate color stop, so you can stitch Santa's entire team! 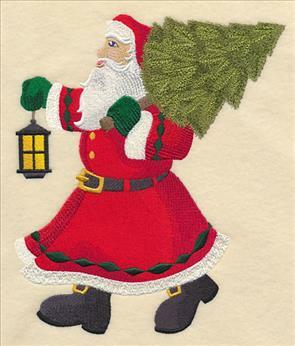 8.04" x 6.90" and 7.21" x 6.19"
6.71" x 5.76" and 5.66" x 4.86"
10.43" x 6.85" and 8.91" x 5.86"
7.80" x 5.13" and 6.85" x 4.50"
Each of these inky Christmas motifs is stitching in a single color and alternate between thinner and thicker lines for added depth and texture. 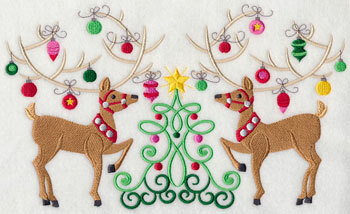 They're a gorgeous way to whip up a holiday project in no time. 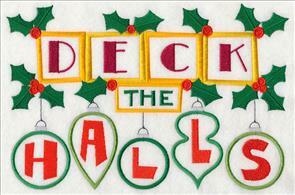 6.82" x 7.81" and 6.30" x 7.21"
5.80" x 6.64" and 4.84" x 5.54"
6.82" x 7.83" and 6.20" x 7.12"
5.59" x 6.42" and 4.86" x 5.58"
Jazz up pillows, towels, and placemats with the ethereal holiday designs -- they're perfect for embellishing low-nap fabrics. 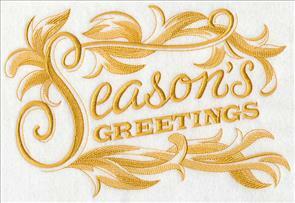 7.59" x 7.80" and 6.87" x 7.06"
5.87" x 6.03" and 4.88" x 5.01"
7.18" x 7.79" and 6.51" x 7.06"
5.86" x 6.35" and 4.85" x 5.27"
Add a fanciful Intricate Ink Christmas design to your next holiday project. 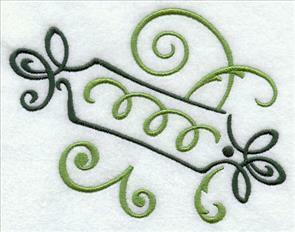 Order the designs individually by clicking the links above, or get all six in a design pack. 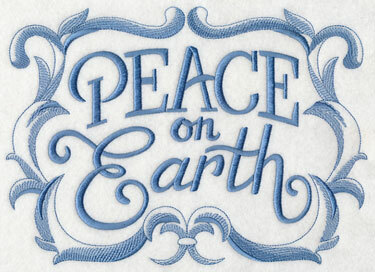 'Tis the season for spreading greetings of love and peace to friends and family members. 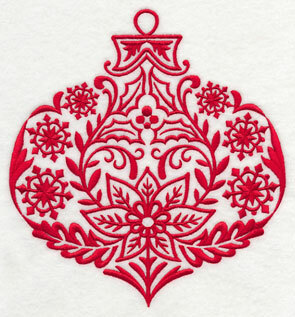 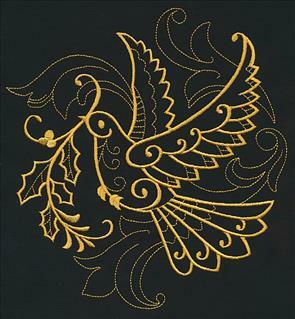 There's no better way to share these holiday sentiments than with an elegant baroque design! 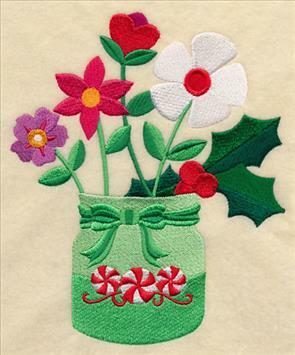 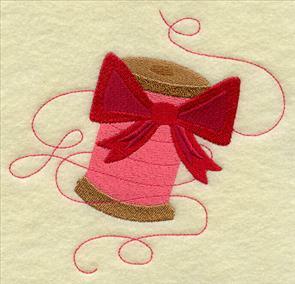 Stitch them on fabric gift bags, pillows, table linens, and more! 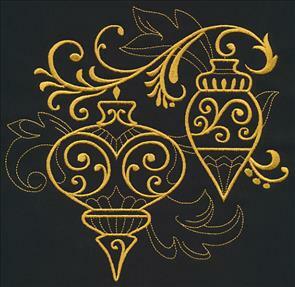 10.22" x 6.90" and 8.67" x 5.86"
11.07" x 6.90" and 9.41" x 5.86"
7.80" x 4.86" and 6.86" x 4.27"
The baroque detailing in these Christmas sayings are light and open, and the quick-stitch designs use just one color. 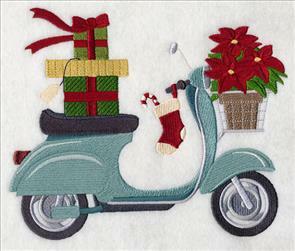 They're a beautiful addition to smooth, neutral fabrics, such as denim, canvas, twill, and more. 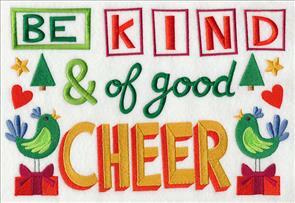 6.88" x 9.28" and 5.83" x 7.87"
6.88" x 9.12" and 5.85" x 7.75"
5.35" x 7.10" and 4.85" x 6.43"
Give your kitchen a holiday makeover with embroidered tea towels, aprons, placemats, and more. 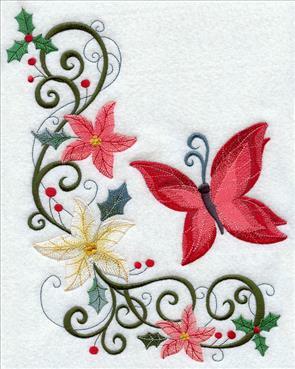 The stunning Christmas designs will add a sweet look to your kitchen decor. 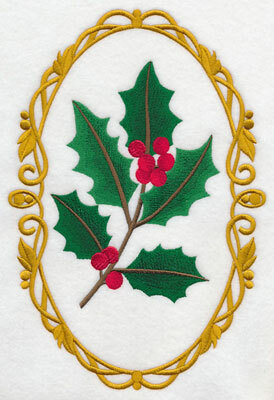 Add holly-jolly character to fleece blankets, pillows, and wall hangings with these traditional "Merry Christmas" and "Happy Christmas" designs. 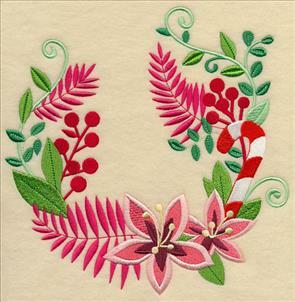 The classic holiday greeting is framed in flourishing baroque detail, and is a delightful addition to any holiday project. 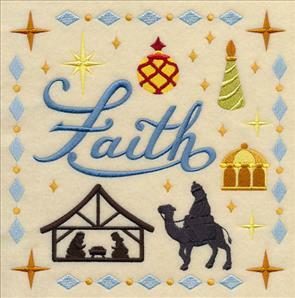 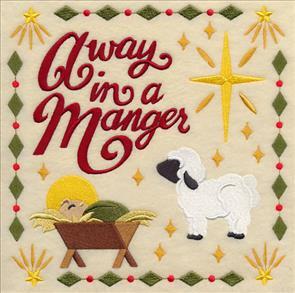 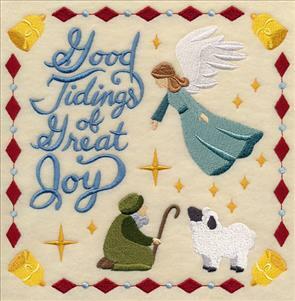 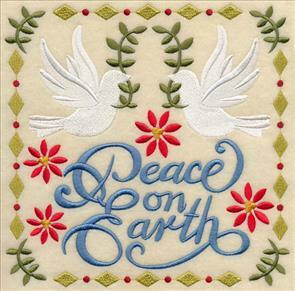 10.25" x 6.90" and 8.69" x 5.85"
7.80" x 5.25" and 6.85" x 4.61"
Remember the true meaning of Christmas with a "Peace on Earth" design stitched on framed pieces, wall hangings, pillows, and more. 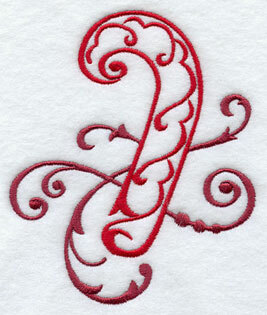 Elegant script perfectly complements the exquisite baroque detailing. 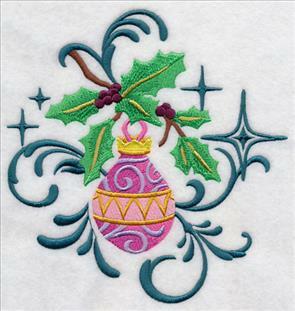 9.62" x 6.90" and 8.16" x 5.85" and 7.80" x 5.59" and 6.76" x 4.85"
Scroll down the page to find the perfect embroidery design for your next holiday project. 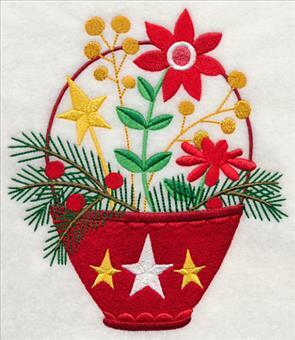 Whether you're adding Santa and Mrs. Claus dress forms to a tote bag, stitching winter birds with ornaments on a pillow, or holiday bouquets on a wall hanging, these Christmas designs will help you get in the holly-jolly spirit. 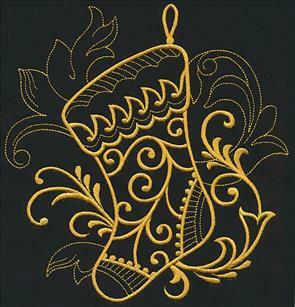 7.83" x 11.56" and 6.99" x 10.32"
6.14" x 9.05" and 5.29" x 7.80"
6.86" x 11.58" and 6.13" x 10.34"
5.38" x 9.07" and 4.64" x 7.82"
4.08" x 6.88" and 2.29" x 3.86"
9.40" x 5.35" and 7.80" x 4.43"
9.40" x 5.64" and 7.80" x 4.66"
6.85" x 4.09" and 3.85" x 2.46"
4.80" x 5.71" and 3.24" x 3.86" and 2.11" x 2.50"
9.40" x 4.94" and 7.79" x 4.09" and 6.88" x 3.61"
11.70" x 4.70" and 9.41" x 3.78"
and 7.80" x 3.13" and 6.86" x 2.76"
11.75" x 4.43" and 9.40" x 3.54"
11.70" x 4.15" and 9.41" x 3.34"
7.80" x 2.77" and 6.86" x 2.43"
11.70" x 4.98" and 9.41" x 4.01"
11.70" x 5.56" and 9.41" x 4.47"
7.80" x 3.71" and 6.86" x 3.26"
11.70" x 4.69" and 9.41" x 3.78"
11.69" x 4.61" and 9.41" x 3.71"
7.81" x 3.08" and 6.85" x 2.70"
11.65" x 4.42" and 9.42" x 3.58"
11.75" x 4.82" and 9.40" x 3.85"
7.80" x 3.21" and 6.85" x 2.81"
11.70" x 5.09" and 9.41" x 4.09"
7.80" x 2.79" and 6.86" x 2.45"
7.79" x 10.75" and 7.02" x 9.69"
6.22" x 8.58" and 5.53" x 7.59"
3.90" x 4.85" and 3.10" x 3.85" and 1.96" x 2.43"
7.77" x 10.52" and 6.97" x 9.39"
6.17" x 8.31" and 5.49" x 7.42"
4.86" x 5.18" and 3.64" x 3.86" and 2.33" x 2.49"
6.20" x 4.85" and 3.86" x 3.01"
6.41" x 4.90" and 5.30" x 4.04"
8.20" x 5.84" and 6.79" x 4.84"
6.65" x 5.81" and 5.51" x 4.81"
4.86" x 5.76" and 3.26" x 3.86"
5.68" x 4.83" and 3.86" x 3.29" and 2.76" x 2.34"
5.88" x 7.78" and 4.81" x 6.36" and 2.93" x 3.88"
5.82" x 6.70" and 4.82" x 5.55" and 3.37" x 3.88"
7.80" x 5.17" and 6.85" x 4.54"
6.48" x 10.09" and 5.53" x 8.62"
5.01" x 7.80" and 4.42" x 6.88"
6.90" x 10.09" and 5.89" x 8.61"
5.36" x 7.83" and 4.69" x 6.86"
6.37" x 10.09" and 5.44" x 8.62"
4.92" x 7.79" and 4.33" x 6.86"
6.89" x 10.09" and 5.88" x 8.61"
5.35" x 7.83" and 4.69" x 6.86"
8.05" x 6.86" and 6.85" x 5.85"
6.88" x 7.49" and 5.85" x 6.37"
4.85" x 5.27" and 3.54" x 3.87"
6.88" x 7.45" and 5.85" x 6.34"
6.88" x 7.26" and 5.86" x 6.18"
4.86" x 5.11" and 3.65" x 3.86"
6.87" x 7.73" and 5.84" x 6.55"
6.88" x 7.15" and 5.85" x 6.08"
4.85" x 5.03" and 3.73" x 3.86"
9.40" x 5.11" and 6.87" x 3.74" and 3.86" x 2.10"
9.40" x 5.49" and 7.80" x 4.54" and 6.85" x 3.98"
9.06" x 5.85" and 7.80" x 5.07" and 6.84" x 4.46"
7.79" x 7.77" and 6.91" x 6.89"
5.89" x 5.87" and 4.89" x 4.87"
7.80" x 7.76" and 6.90" x 6.86"
7.78" x 7.79" and 6.87" x 6.89"
5.85" x 5.86" and 4.86" x 4.87"
7.79" x 7.74" and 6.94" x 6.89"
5.90" x 5.86" and 4.90" x 4.86"
7.79" x 7.75" and 6.90" x 6.86"
7.80" x 7.79" and 6.88" x 6.87"
5.86" x 5.85" and 4.85" x 4.84"
7.78" x 7.69" and 6.89" x 6.80"
5.93" x 5.86" and 4.92" x 4.86"
7.79" x 7.75" and 6.92" x 6.88"
5.89" x 5.86" and 4.89" x 4.86"
7.77" x 7.79" and 6.87" x 6.89"
5.87" x 5.89" and 4.87" x 4.88"
7.81" x 7.82" and 6.91" x 6.93"
6.85" x 7.80" and 5.86" x 6.67"
4.86" x 5.54" and 3.38" x 3.85"
5.85" x 7.02" and 4.86" x 5.82" and 3.21" x 3.86"
5.86" x 7.23" and 4.85" x 5.99" and 3.12" x 3.86"
11.00" x 6.07" and 9.41" x 5.19"
7.80" x 4.31" and 6.86" x 3.79"
6.90" x 10.53" and 6.16" x 9.40"
5.97" x 11.75" and 4.78" x 9.41"
3.96" x 7.80" and 3.49" x 6.88"
11.74" x 4.60" and 9.40" x 3.69"
7.80" x 3.06" and 5.98" x 2.57"
11.00" x 4.62" and 9.40" x 3.95"
11.00" x 5.71" and 9.40" x 4.88"
7.80" x 4.05" and 6.86" x 3.56"
3.70" x 5.79" and 2.47" x 3.87"
5.72" x 4.36" and 3.87" x 2.95"
4.27" x 6.31" and 2.62" x 3.86"
7.80" x 7.79" and 6.89" x 6.89"
7.77" x 7.68" and 6.99" x 6.89"
5.91" x 5.82" and 4.94" x 4.84"
5.86" x 5.86" and 4.87" x 4.87"
7.82" x 7.79" and 6.89" x 6.86"
6.90" x 7.73" and 5.85" x 6.55" and 4.83" x 5.41"
7.81" x 7.62" and 7.09" x 6.91"
6.01" x 5.86" and 5.01" x 4.88"
3.78" x 3.77" and 2.37" x 2.39"
3.57" x 3.50" and 2.23" x 2.19"
11.00" x 6.64" and 9.39" x 5.66"
7.81" x 4.71" and 6.88" x 4.15"
4.41" x 5.57" and 3.07" x 3.88"
4.40" x 5.57" and 3.06" x 3.88" and 2.57" x 3.26"
10.99" x 4.68" and 9.39" x 4.00"
7.86" x 3.35" and 6.86" x 2.93"
3.53" x 3.54" and 2.58" x 2.59"
3.64" x 3.77" and 2.66" x 2.75"
10.55" x 5.51" and 9.38" x 4.90"
7.78" x 4.07" and 6.87" x 3.59"
3.08" x 4.44" and 1.63" x 2.47"
2.54" x 4.46" and 1.35" x 2.48"